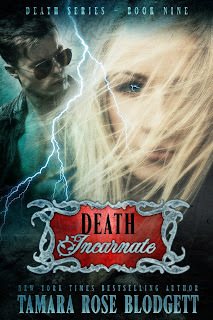 Two NYT bestselling author styles come together for Dark Paranormal Romance + Urban Fantasy = a yummy Brief Bites novelette/50 paperback pages. Two New York Times bestselling author styles come together for Dark Paranormal Romance + Urban Fantasy = a yummy Brief Bites novelette compilation, episodes 1-6. VAC 1: Narah Adrienne is a bounty enforcer in the near future. She runs the seedy side of her game, capturing criminals too dangerous for the local law enforcement. Using unorthodox methods, she finds herself in the crosshairs of the Magistrate for too many allowable kills for the quarter. Aeslin is part of an elite vampire squad of Turners. A rare sect of vampire scouts who possess the ability to find women with enough undead blood to be turned into full vampire. VAC 2: Bounty enforcer, Narah Adrienne, has been served her sentence in the form of three lashes to be meted by a corrupt Magistrate. She's unable to acquire her target as instructed, while strange health issues force Narah to seek help in the dangerous medical underground. They might have answers—for a price. VAC 3: Narah Adrienne is a scant twenty hours from her sentence of three lashes. But first she must meet Marc, her liaison with the illegal underground. He might have the fix for her mysterious medical condition. But Marc's solutions come with questions attached—and at a cost too high to pay. Now that Narah understands her bounty target is really a Hunter assigned to commit a part of her to death, she must make the best choice among terrible options. Worse of all, if Narah does not make her hearing the sentence will worsen. Either way, she could die. Only one man can save her and technically, he's not human. VAC 4: Narah awakens in captivity. She's escaped the final lash from a sadistic Magistrate meant to teach her temperance, only to find that her sentence was not meant to be a lesson, but an execution. Matthews discovers the truth of Hunter leadership, and with an uncertain end goal he determines to follow his heart, though that decision might cost him his life. Aeslin has exposed his race by removing Narah in plain sight. With the blood clock ticking down the minutes of Narah's life; she turns or she will die. What will happen when both Matthews and Aeslin discover the real motive behind the lashes? VAC 5: Being turned isn't everything it's cracked up to be. Narah's a vampire, yet not. Because of a twist of fate and circumstance, Narah finds she's tied to both Aeslin and Matthews. She's now wanted as a deserter from sentencing by the very people she fought beside. And Magistrate Oren still wants his final lash—at any cost. From opposing forces, Murphy and Marc find a common goal in helping Narah return to her former life. However, Aeslin and Matthews have other plans, ones that involve her soul—and her heart. When everyone is taken from Narah, and a sadist holds the reins to her sanity, can the males fulfill their promise to protect her, or will Narah be left to fight this battle alone? VAC 6: Narah's been sold out by the most unlikely source, and faces a far graver punishment than her original sentence by Magistrate Oren. Marc and Murphy have now been caught in the crosshairs of her new life and face dire consequences as a result. Opposing forces and their hidden agendas continue to move Narah like a chess piece toward an inevitable stale mate. Can Narah return to her old life? Will she be hunted for an escape that was beyond her control—or will her tie to Aeslin and Matthews help her regain all that's she's lost—and more than she ever dreamed possible? Vampire is 300+ pages/67,000 word volume, including all six episodic novelettes in the ALPHA CLAIM serial. For fans of A Shade of Vampire comes a dystopian serial about the hybrid supernaturals who live among us. Two, NYT bestselling author styles come together for Dark Paranormal Romance + Urban Fantasy = yummy bigger-bites novella compilation, episodes 7-9. Murphy's been turned by his hybrid human vampire co-worker. Together, they fight brutal criminals as bounty hunters of the near future. Unfortunately, turning this British dude into a vampire is not all that fellow bounty enforcer Narah Adrienne did. While Narah remains on maternity leave, Murphy picks up the slack in her wake, and finds himself sensing human women who need turning. 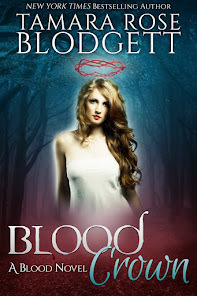 Can Murphy find Grace before the Mutables do; can he resist the call of his blood? Grace has been taken by a yet-unheard-of shifter group: the First Species. 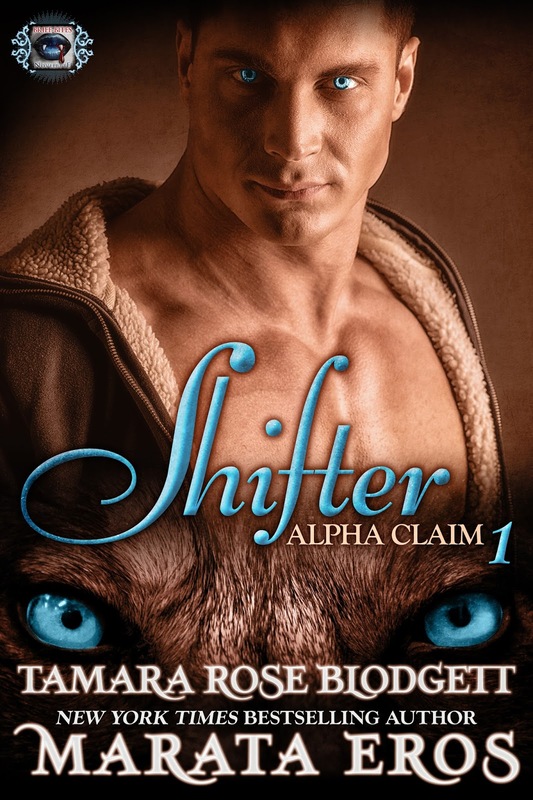 When Grace discovers she possesses rare ancient genetics that are a match for these shifters, she wants to escape--except it might not be possible with her awakening feelings for Conrick, the alpha. Murphy is determined to acquire #1231, Grace Cline, and hand her over to the proper Turner assigned by the vampire Nobles. As Murphy fights his unique connection to Grace, he hides behind his badge of duty while ignoring his growing feelings of possession and desire for one female. Can Murphy find Grace before she's claimed by one group, as two more draw nearer? Will the Mutables find her, or has another ancient shifter group's covert reconnaissance to find the perfect female finally caught up to her. The First Species has captured Grace and Toby, and their Alpha leader, Conrick, seems utterly unrepentant. Unwilling to let them go, he attempts to integrate Grace in a way she never expected, and isn't sure she wants. 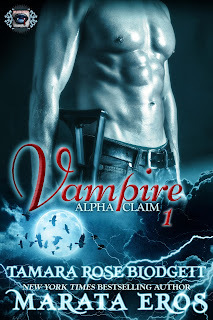 Her connection to the first human turned by a hybrid vampire is strong, and Murphy is coming for her. Grace can feel it. Bounty enforcer Murphy will find Grace, regardless the cost. Her blood calls to him, and he is helpless to ignore its sweet summons. Unfortunately, Grace's ancient DNA entices many groups whose primary design is to perpetuate their species, through any method that works. Will Doric, the leader of the prehistorics make a bid for Grace as well? Are the Mutables closing in around her to anoint her as the sacrificial lamb? Can Grace survive long enough before her transition kills her? Or will those who seek to claim her save Grace from a certain death. Vampire is 300+ pages/69,000 word volume, including all three episodic novellas in the ALPHA CLAIM serial. Can a woman find two Alpha soul mates in one lifetime? Talyn Phisher is a counselor in a world that has been turned on its ear by an unthinkable discovery: vampires roam among humans. If all this upheaval was not enough, Talyn's body is changing. Signs that something is seriously wrong plague her. Having been told she's barren and there's no hope--Talyn still longs for a family of her own, though the stories she hears from clients tell her happiness is a long shot. Talyn wants that shot. She yearns for a man who will put her first--for who she is. Until a stalker's pursuit threatens everything close to Talyn's heart. 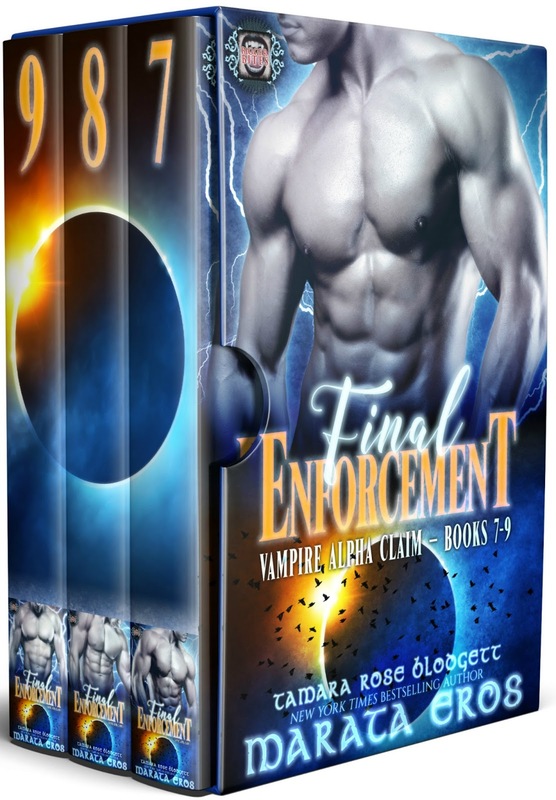 When Talyn feels her life is in imminent danger, she reaches out in desperation to the Final Enforcement, an elite, fringe group of the police who do more than take the law into their own hands. Only to discover Talyn isn't what she thinks she is. And neither is the one who stalks her. 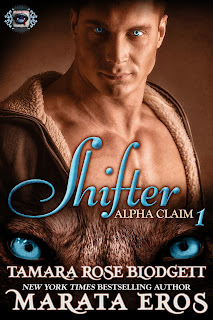 Shifter is 54+ pages/13,600 words, and is the first volume of six episodic novelettes in the ALPHA CLAIM serial. Who can Talyn trust? Certainly not those she thought. As the evidence mounts that something is seriously wrong, Talyn gains strength from the sameness of her life. Only to have it shattered when a seemingly innocent come-on turns out to be the beginning of the end of the life she knows. When the local police disregard the facts, Talyn receives unconventional assistance in the form of Enforcer Narah Adrienne. Talyn finds herself in a compromised position--literally. Having escaped the supernatural battle raging inside her house, she falls into the wrong set of arms, and soon finds herself alone in a prison constructed of Mutables; a group of shifters that can change into virtually any animal. They too, have a limited female population. Talyn doesn't care. 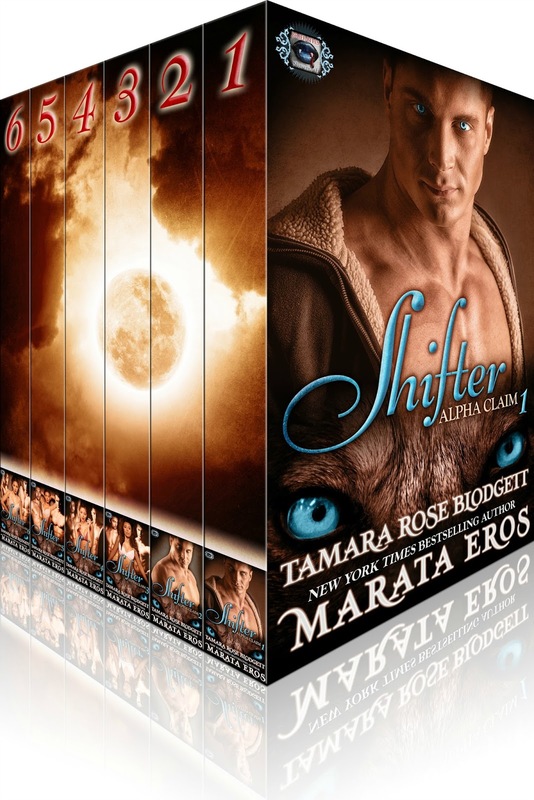 She refuses to become the Lycan Merck and Arden insist she'll become, though her beast is clawing to escape. But a revelation about her lineage makes becoming a Lycan a surety, rather than a choice. The question that haunts Talyn is: who will transition her? Friend, foe--or lover? Talyn wakes to find that she's not with who she started with, and tragedy dogs her every step of the way. Narah works to secure her safety while Mutables make a bid to have her. Can Merck claim her before it's too late? Or will Drake find a way to insert his dominance above all. Talyn's been accidentally poisoned with dragon's blood. Can she allow the cure? While Drake and Merck fight over Talyn, Mutables move toward her like a magnet, seeking her for what she offers them. Will Enforcer Adrienne be able to protect Talyn from a predator who is not what he seems? 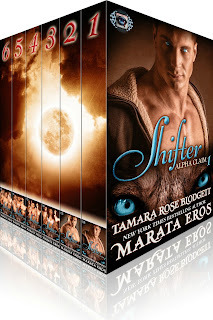 Shifter is 300 page/67,000 word full-length compilation, including all six episodic novelettes in the ALPHA CLAIM serial.